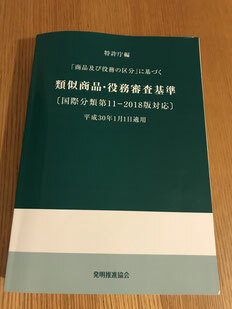 This is the book titled "Examination Guidelines for Similar Goods and Services" edited by the Japan Patent Office. Can You See How THICK the Book Is? The book is 4 centimeters (1.57 inches) thick and 1992 grams (4.4 pounds). The book is heavier than my notebook computer. The book is published each year. Until the year 2016 version, the book was solely in Japanese. Since the year 2017 version, English indications of goods or services in the Alphabetical List of the Nice Classification have also been listed for reference purpose. You will easily be able to imagine that it has made the already-thick-in-2016 book much thicker and heavier. What Is Different from the Alphabetical List? Each indication of good or service in the Alphabetical List is divided into 45 Classes. According to the Examination Guidelines for Similar Goods and Services of the Japan Patent Office, indications of goods or services are categorized into smaller groups within each International Class. The goods or services that belong to the same smaller group are presumed to be similar to each other in trademark examination practice of the Japan Patent Office. Each smaller group has a number like 01A01. The numbers of many smaller groups can be found across different classes. The goods and/or services, which share the same smaller group number even in the different International Classes, are presumed to be similar, and cross-searches will be carried out at the examination stage. Japanese trademark attorneys and practitioners use the examination guidelines, for example, when we prepare a list of goods and/or services to be designated in a trademark application, or when we want to find out whether a particular good or service is presumed to be similar to other goods and/or services in Japanese trademark examination practice. One of the good things about the guidelines is that it is USER-FRIENDLY. The guidelines are so systematic, and thus it is easy for its users to understand similarity of goods and/or services in examination practice of the Japan Patent Office. Now, the book contains all the indications of goods or services in the Alphabetical List of the Nice Classification. The other good thing about the guidelines is that trademark examination judgement to be made by each examiner with regard to similarity of goods and/or services won't be contradicting among examiners. Isn't that great? The guidelines Are Available on the Internet. 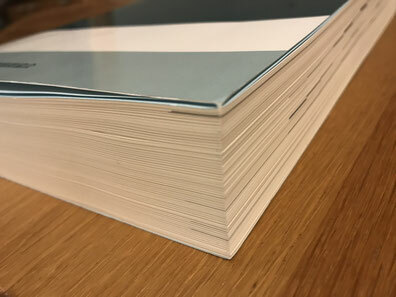 Even though the guidelines are available on the internet, I assume many Japanese trademark attorneys and practitioners still use the physical book. Yet, the book has become too big and too heavy. It became less handy to carry around or even simply to use on the desk. To be honest, HOW ECO-UNFRIENDLY is the book? We get a new 4-centimeters-thick book every year, and often abandon it next year.